Run your own twisted AI theme park from your smartphone. If you've been dying to be a part of the team that runs the unsettling theme park in HBO's Westworld, your wait is almost over. At SXSW today, Warner Brothers Interactive Entertainment announced pre-registration for the mobile game, which will be released this year on Android and iOS. We learned earlier this year that the game is in the works, and today's announcement sheds light on the plot and timing. Warner Brothers will work with Westworld producers and writers on the game, which is intended to "complement and augment the rich depth of the series," according to a statement from WB. In the game, you'll start out as a newly hired Delos Trainee who gets access to the Delos Park Training Simulation (DPTS). As the game progresses, you'll eventually take over all aspects of the Westworld park operations, "including manufacturing and care-taking of artificially intelligent hosts and satisfying guest desires." Based on the artwork provided, it looks like you'll be able to interact with characters from the TV series, like Dolores and Dr. Robert Ford. Too bad it looks nowhere near as realistic or fun as the setup HBO had here in Austin. 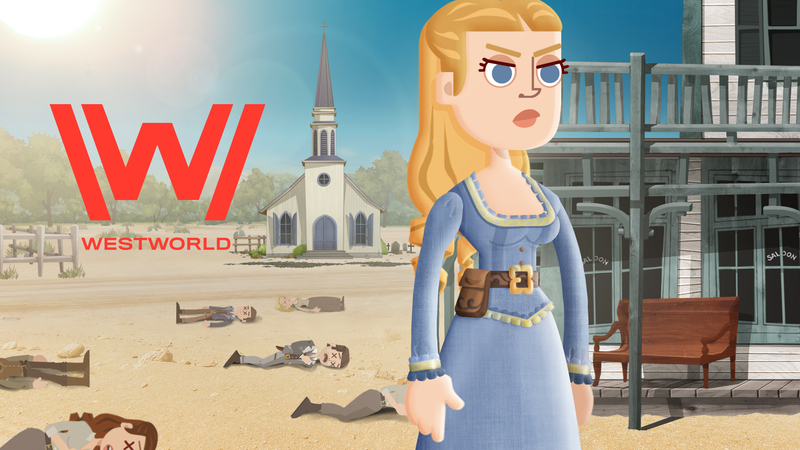 If you're itching to be among the first to play the game when it launches, you can pre-register at westworldmobile.com. Doing so will qualify you to "receive exciting incentives at launch." Who knows, maybe you'll get a nice pre-recorded greeting from Evan Rachel Wood?